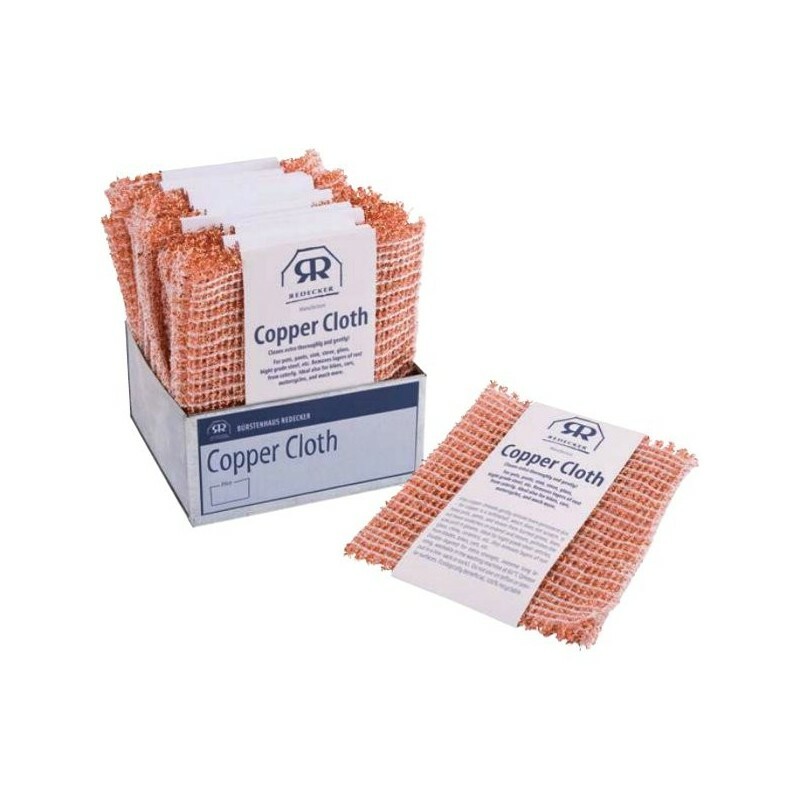 These multi-purpose cloths are made from fine copper threads that will remove even the most persistent dirt. 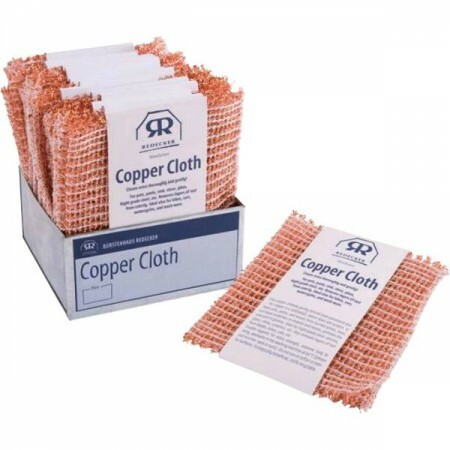 Copper is a soft, non-abrasive metal which will clean thoroughly and gently without scratching surfaces when used wet. Pack of 2 cloths. Double layered for extra strength. Machine washable at 60 degrees (put into a lingerie bag or sock). Cleans pots, pans and stoves of burned grime. Ideal for cleaning high grade steel articles, glass, china, ceramics, etc. Do not use on teflon. Very handy when rubbing off the hard stain. Definitely recommend! I was excited to try these but admit that I haven't ended up using them all that much. They do the job, I just tend to use mostly coconut scourers and steel wool. I expect to use them more when I get a chance to invest in good cookware though. Was a little put off that the copper threads seem to be woven together with plastic, but I may be mistaken as they do say that they're 100% recyclable.